Japan is planning to open usance L/C worth up to €230m for construction of Iran's Apadana Persian Gulf Petrochemical Plant which will need 462 million euros in finances for completion, the plant's managing director says. 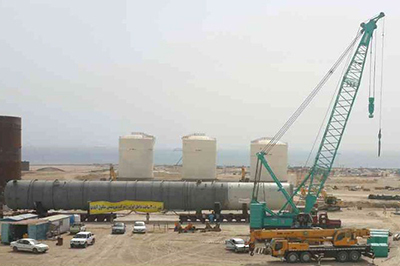 Touraj Arounaqhi said a portion of the needed investment will be supplied by Japanese companies to Persian Gulf Petrochemical Industries Company (PGPIC), Mother Company of Apadana Persian Gulf Project. He said the project has so far advanced 28% and provided that it progresses as planned, its completion will reach 33% soon. Japanese companies have started opening usance L/Cs worth other 960 million euros for Iran's petrochemical projects since last year.